By now you must have seen how to install a single development environment (VM) using vagrant. In case you haven’t please refer to my previous blog before going through this one. In this blog we are going to see how to create multiple VMs using vagrant. But before we start, we must understand the requirements where we need to create multiple VMs of the same configuration. Requirement 1: Hadoop is one of the cutting-edge technologies today and it can be used by creating a hadoop cluster. 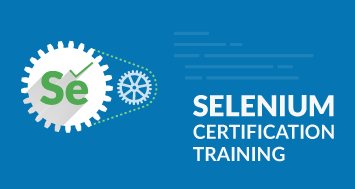 At times you do not require a full-fledged cluster, but can manage with two servers only. However, you will need at least three datanodes. In this case, you may use one server as Namenode (since namenode has be a high-end machine) and in the other server you can create 3 VMs and use them as 3 datanodes. Requirement 2: You are working in a production environment where you are dealing with a big project. As all of us are aware that before we deploy the project on the live server, the project has to be developed on the development server and tested on the test server. These servers are of the same configuration. Hence, we may use vagrant to create these servers all together instead of building them individually. There can be many other requirements where you may leverage this feature. I would encourage you to comment your requirement on this blog so that it can help others as well. Step 3: Initialize a new VagrantFile. Step 4: Install a vagrant box. We are using “chef/centos-6.5” for this blog. You can see the list of boxes here. Congratulations! You have created three VMs using single vagrant file. You must be wondering how to use it. You can access it using ssh. Step 7: Download putty (windows shh client) from here. Run the application and connect to the VMs. 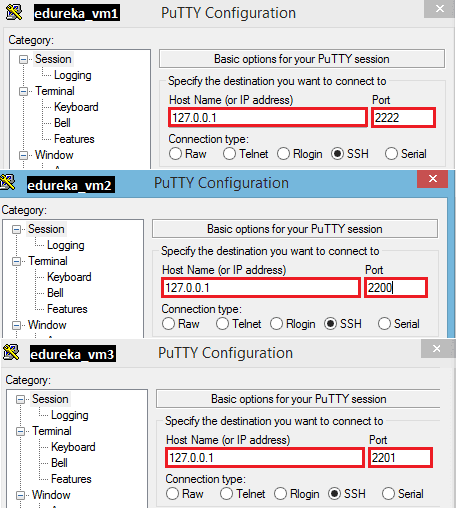 Step 9: You need to log in to each VM separately using putty in order to access them. Step 10: Finally, you need to understand if this fits your requirement or not. Accordingly you will understand how to use vagrant to get maximum benefit. PMBOK® Guide 6th Edition – What’s New in Edition 6? What do you know about Business Analytics With R?